What inspired you to begin creating floral arrangements? 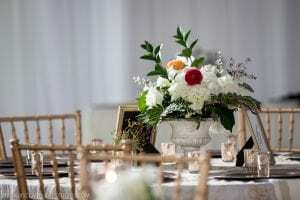 I really love how at an event or even during design, I feel like placing the floral arrangements is what makes everything come together. It’s one of the last big things to be placed and then the design is complete! I have taken a few workshops and trainings, including Steve Moore from Sinclair and Moore, Sarah Campbell from Intrigued Designs, and Kelly from Team Flower. 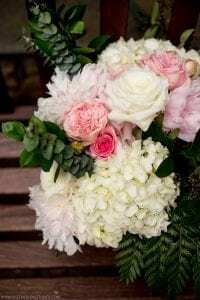 How many weddings have you designed flowers for? To date we have done 12 amazing weddings for our clients. The stunning couples who allowed us to design for their weddings include; Beth and Dino, Katrina and Adam, Val and Phil, Ruth and Michael, Kendall and Patrick, Bri and Ryan, Virginia and Brent, Elizabeth and Matt, Amy and Breen, Jackie and Bob, Katie and Ian, and Meghan and Lee. Any weddings that stick out in your memories? Can you share any floral trends you are currently loving? I love that bouquets are not so stuffy right now! I love all the lush blooms that flow and are loose. Want help planning your big day? 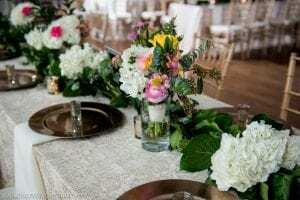 Contact Magnificent Moments Weddings, we have the experience to help you with all your planning needs including coordination, wedding planning, and of course floral design!